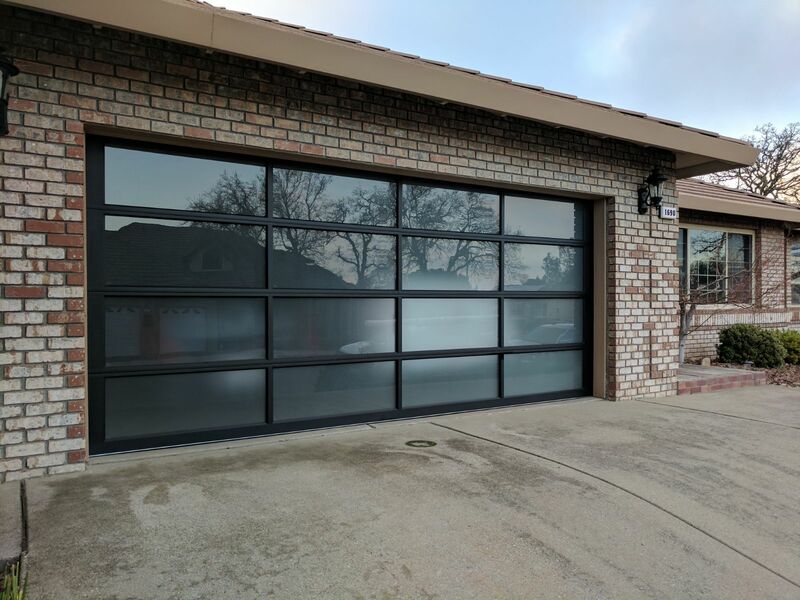 Customers had recently installed a beautiful brand new glass garage door on their home. They called us originally because their torsion spring broke, and their garage door wasn’t opening or closing. Since their garage door was over 25 years old, they figured the repair was a good time to update their garage doors and start changing the look and feel of their home’s exterior. The customers loved a more modern look, so they chose these beautiful glass doors. The Clopay door is from the Avante collection. The glass is frosted, for privacy, and the frame is a black anodized aluminum. Doesn’t it look beautiful? Once we installed the new door, we were able to install brand new springs as well as a new LiftMaster garage door opener. Not only does it look nice, but the garage door system is brand new and working great, and quietly! 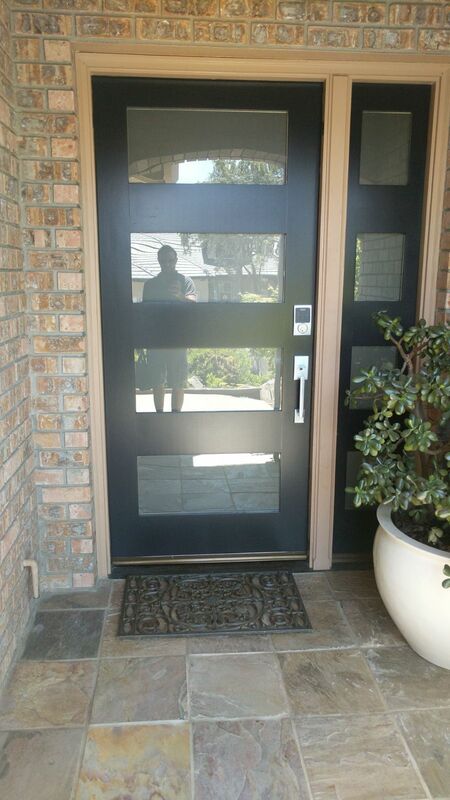 Our customers realized that the door looked great, but also clashed with their much more traditional front door. So we were able to upgrade their entry door to give it a new look that also complimented their new garage door. The door they chose is from the Simpson Door Company. The model is Contemporary Thermal 7404. The glass in the design went well with their garage door and we had the door painted black to match the black aluminum on the garage door. Installing an entry door to match your garage door is a great way to change up the style of your home and update your curb appeal. Give GR8 Garage Door a call if you are looking for new garage doors or entry doors. We don’t just do garage doors and are licensed to sell and install all residential and commercial garage doors, entry and exterior doors. We love these whole home projects!